The Battle of Britain Bunker is of great historical significance for its pivotal role in the air defence of the United Kingdom throughout the Second World War. 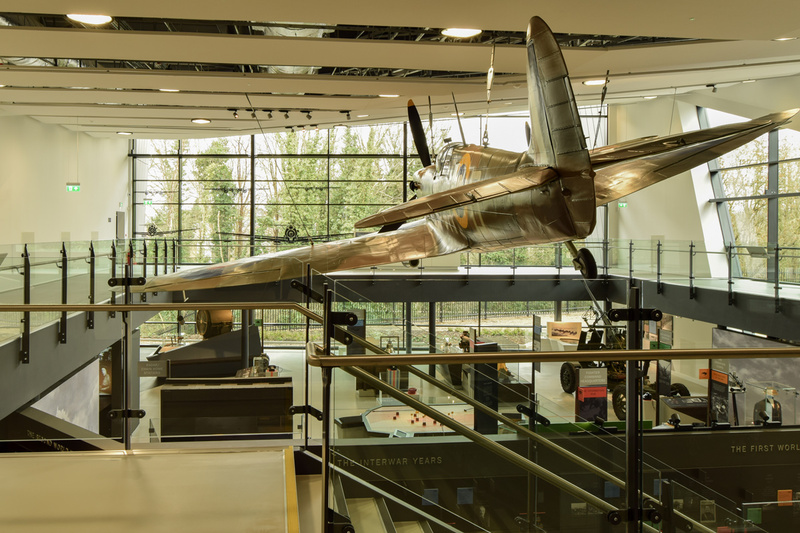 Situated on the former RAF Uxbridge site, the brand new exhibition and visitor centre opening coincides with celebrations to mark 100 years of the RAF. Embracing the central themes of flight, the impressive building exterior mimics a shell-like form with twisted geometry and striking design. 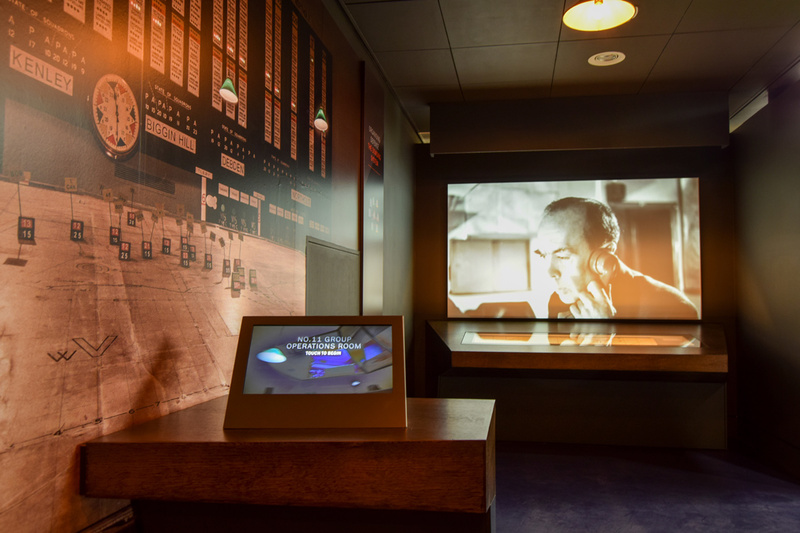 Housed within are interactive displays entwined with aircraft, machinery and archival material which leads the visitor on a path through the development of the UK's innovative air defence system and the bunker's crucial role beyond the Battle of Britain. Set across two levels, visitors can encounter this historical narrative, delving deep into the true stories and real encounters from those who were present at the Battle of Britain. Collaborating with Skellon Studio, Seeing Things, Clay Interactive, Scena and Displayways has ensured an imaginative and insightful exhibition that is educational, thoughtful and inspires future generations to engage in the significant events from our past.